Image: (from left) Li Youyu (Australian Director), Zhang Shuoyuan (Executive President CNQC International), and Graham Goldman (Eastview Managing Director and Australian Resident Director for CNQC). 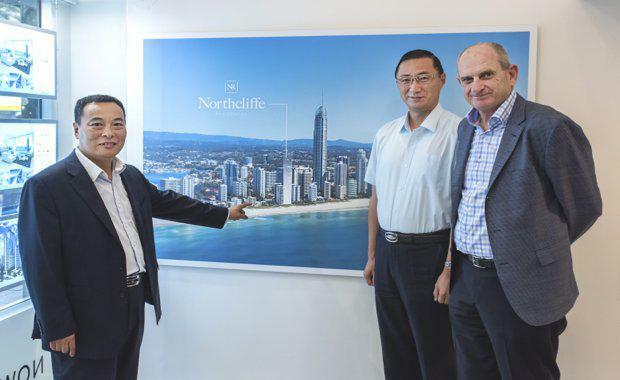 Global development and construction giant Qingjian Group Co Ltd has taken control of the luxurious $107 million Northcliffe Residences absolute beachfront project in Surfers Paradise, laying the foundation for its push into the Australian market. The Chinese conglomerate known as CNQC has ranked in China’s Top 500 enterprises for 12 consecutive years and has developed major infrastructure and residential projects across the world with a turnover exceeding RMB$50 billion in 2015. The company operates throughout China, the USA, South America, Singapore, Africa, Europe and most recently, Australia, with a worldwide development portfolio including luxury villas on Dubai’s iconic Palm Jumeriah, the UAE’s spectacular Nad Al Sheba racecourse, the Beijing 2008 Olympics sailing venue and airports in China and Yemen. CNQC has increased its original stake in Northcliffe Residences and will take full control going forward. 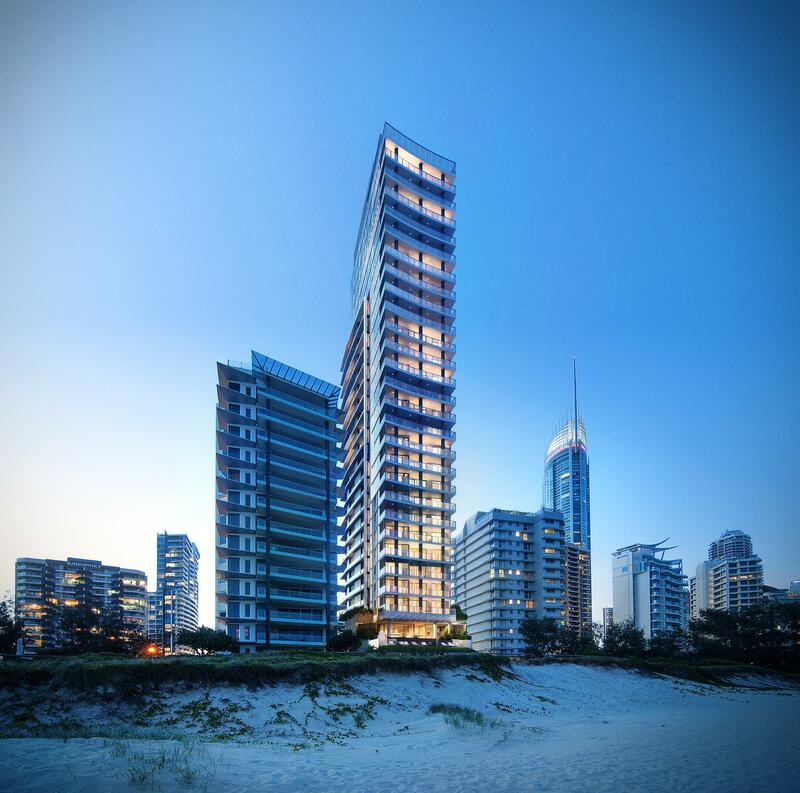 Northcliffe Residences, Surfers ParadiseEastview Australia will project manage the 25-level Northcliffe Residences, which has development and operational works approval. Eastview Managing Director Graham Goldman said the demolition contract had been awarded and clearing of the site would begin on October 4. Mr Goldman, who is also the director of CNQC’s Australian construction and development arm, said CNQC’s decision to take control of the project allowed site works to start immediately. “Buyers now have the confidence of knowing the project is moving ahead in the hands of a highly reputable and experienced global developer,” he said. “The company is not just here to do one project, this development represents its entry into a new market. Northcliffe Residences is set to rise on its beachfront parcel at 3 Northcliffe Terrace, just minutes from the heart of Surfers Paradise. It will offer 75 luxury apartments including a two-level penthouse with private rooftop pool and entertaining terrace, and four whole-floor sub-penthouses. Residents will have exclusive access to a private ocean-view Beach Club complete with gymnasium, infinity pool, steamroom, sauna, lounge area and separate dining room. The development has already captured the serious attention of buyers by achieving more than $52 million in pre-sales.